Jakes Carts is the premier provider of golf cart lift kits, golf cart accessories, golf cart wheels, golf cart tires, custom lifted golf carts, and pretty much all golf cart parts in general. At Jakes Carts their customized golf carts are like no other. You can rest assured that if you want a lifted golf cart, Jakes Carts will provide you with the best lift kit design for your money. 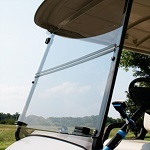 With as many golf cart accessories that Jakes offers you are sure to find the right golf cart part for your needs. 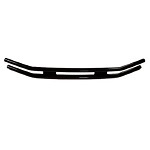 If you purchase Jake?s 6204, 6205, 6216 you need to check your tie rod ends on the cart. If your cart does not have greasable tie rod ends you need to add this longer tie rod. 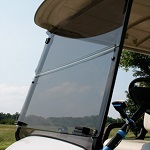 High clarity acrylic for better visibility.